You compare and tell me which is best! 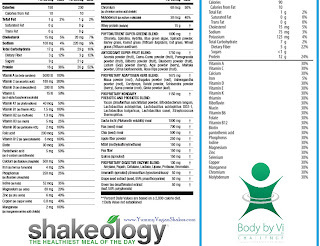 I can't say enough great things about Shakeology. It's not only chemical free but it has been proven to lower cholesterol & help people lose weight. I had a friend drink it and now her Lupus is in remission! How crazy is that?! The world is catching on to what an amazing product Beachbody has. Oprah featured a 10 page spread in her magazine all about it. Even Discovery Channel had an article online about it! This is not your average shake on the market. I am going to make more comparisons, but here is one I've put together. 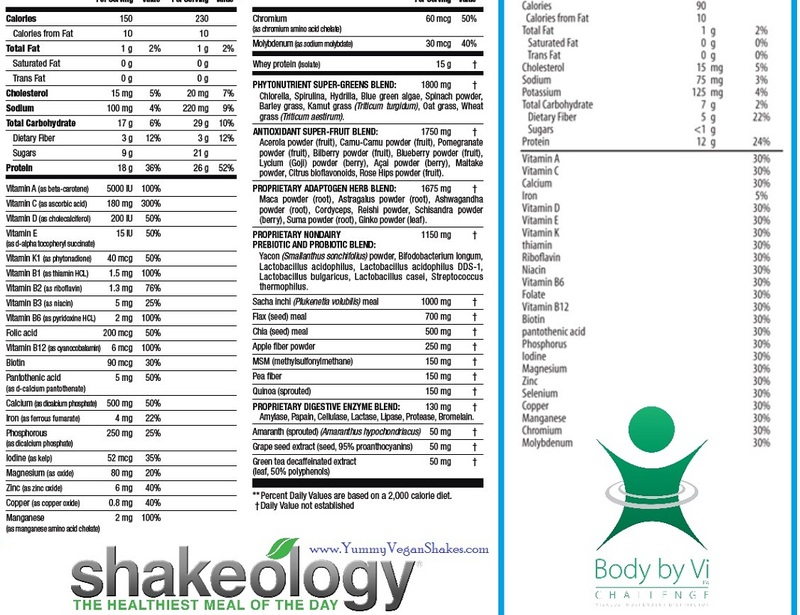 Our ingredients/nutrient list vs other shakes out there. Nothing can touch what we have! Heck, I can drink this while pregnant and feel confident in giving it to my toddlers. Not so much with the Advocares and Visalus stuff out there. You read the lists and decide for yourself! Can Shakeology help with fibromyalgia? Marisa F.- I have fibromyalgia! Shakeology has made a huge difference!!! I suffered for years! I feel amazing now!! Carlos M.- I was diagnosed with fibromyalgia 2 years ago, but have several other issues as well. I started shakeology almost 2 months ago & little by little I’m feeling better. Even eating healthier because I’m losing those old cravings & snacking habits. Lost 10 lbs & although it didn’t happen overnight, with daughter Jenna’s encouragement I pressed on. I now have energy to workout, taking it at a slower pace than the majority of TLS, but I’m not giving up! At 65 yrs old, I’m grateful to have connected with such a strong, dedicated & loving bunch of people who care about others. That in its self is worth it! Susi K.- I do. I have had Fibro for YEARS. My Rheumatoid Specialist wanted me on 3 different meds for the pain. One of them was to control the symptoms from one of the other meds. I told him no and that I would find an herbal remedy. Shakeology AND working out has kept my Fibro in check. I NO longer have pain. I don’t take meds. This is what I take: Shakeology, Joint Support, Herbal Immune and Cor Cal Mag from BB. I feel great. When I am in pain, I will take 2 aspirin and work out to Light and Easy from YBB. I FOUND AN HERBAL REMEDY AND IT WORKS. Nia P.- I had painful fibro pains for over 12 yrs…my pains have vanished after a month of shakeology..will recommend to everyone! Kristin K.- don’t let a fibromyalgia diagnosis stop you! it’s like arthritis, you HAVE TO MOVE, it will make you feel better! I was diagnosed 13 years ago, and i decided to ignore it. I started doing yoga, getting stronger, feeling better. Now I do Turbofire and drink my shakeology every day. No more tender pressure points, not nearly as much depression, fatigue, sure, because I’m BUSY enjoying my life! Robin B.- I’m a walking testimony – I was diagnosed with Fibro after a car accident and given medication with the prognosis “I’ll have good days and bad days”. I was severely limited – from the time I got up until I went to bed. Because of that I gained 30 pounds and then diagnosed with Clinical Depression, which they wanted to medicate me for as well. I did my research and found how important nutrition was for this auto-immude disorder and others and Shakeology was my saving grace. I come off all medication, lost 30 PLUS pounds and within 90 days was able to enjoy P90X and insanity again. I have since not gone a day without it. Carol S.- I had it and I have been doing Shakeology since it came out. After the first 6 to 8 months of having 1 shake for breakfast I was 100% medication free. My spasms and pain from the fibro were gone. I could get up and down off the floor and everything! It has changed my life and my families. Thank you so much for your wife having a plan. It gave me my life back! Cheryl H.- I was diagnosed with Fibromylgia 15 years ago and was on meds for it until I was on Shakeology for a few months. I have probably been given a total of over 40 different RX’s since I first had the virus that affected my heart and immune system. Was on 19 last January. Down 9 after several months in the Shakelogy and now take 3. Michele W.- I have fibromyalgia for about 20 years and trust me – proper nutrition is half the key to feeling better. 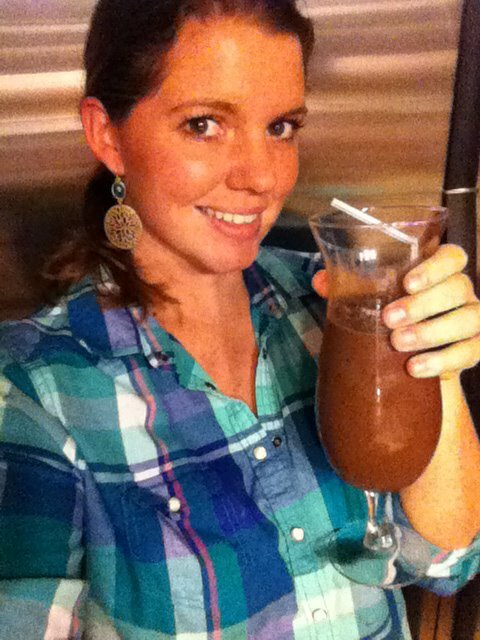 I have tried shakeology and if I remember correctly, by the third day I was feeling pretty good! A shake a day and good nutrition and and all I really need is Motrin once in awhile! Leigh Ann P.- I was diagnosed about 11 years ago triggered by a miscarriage and hereditary from my mom. 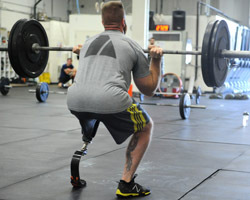 When Jason suggested we start working out together I told him there was not way because of the pain. I did anyway and I will never stop. I do drink Shakeology and I know with the combination of working out and drinking the shakes I no longer have this diagnosis!! Lots of prayer too! Katherine B.- Yes. It directly helps the fatigue which leads to me having the energy to workout and ease the physical pain suffered from my condition. It’s the very reason I drink at least a shake a day and have for almost two years. When I was first diagnosed with it, I wasn’t aware of Shakeology and was drinking energy drinks just to get through the day, which proved counter-productive after a time, because they are like a drug in that one must consume more and more for the same results. I gained a bunch of weight from the medication and the drinks and then my bro gave me some Shakeology, enough for a couple of weeks and I knew It was a new staple in my daily caloric intake. Reva D.- Shakeology and Slim in 6 helped me with the fatigue and keeps NW from getting too sore. I notice a big difference when I don’t drink it regularly! Rhonda F.- I have Fibromyalgia and it helps in many ways. Heather C.- Carl I have fibromyalgia and use shakeology every day. I also have a bunch of fibro customers that also use it. I find it helps the pain, energy levels and ibs. Genia J.- I have multiple autoimmune disorders, and the answer is : YES! It does. My Rheum specialist says that I’m healthy, and most of my disorders are in remission. I have problems with swallowing and digestion. Shakeology has helped with both. I also does wonders for inflammation. Theresa L.- Carl, I myself has fibromyalgia. Since being on shakeology theres has been a big improvement on what I can do. I still have my ups and downs but on a good day I can excercise. Prior to Shakeolgy I couldn’t do any excercise at all. So I would say Shakeology definately helps fibromyalgia. I hope this helps. Barbara G.- I have fibromyalgia and I feel the best on the days I have Shakeology for lunch; and do my TurboFire almost every day. 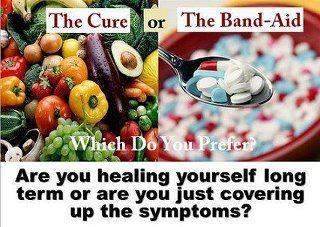 It’s the best combination in the world and it sure beats medications! Bernie M.- Carl, I have suffered from the condition for around 12yrs, since getting fit using beachbody exercise programs and shakeology over the past 12 months I have found significant improvements in my condition. Previously I was on prescribe medication called Lyrica having 600mg per day, in addition to having 500ml of tramadol (pain killer) 3 times a day. The medication was a hard on my body as the condition itself. 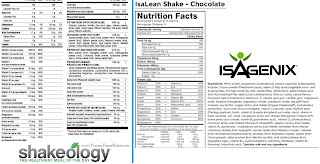 With improved fitness and better nutrition including shakeology I personally founda reduction in joint inflamation and pain, improved brain function with a reduction in brain fog, improved sleep quality, and a significant improvement in mood due to increased natural production in seratonin levels. Personally over the last 12 month I have now been able to stop taking lyrica + tramodol, and now just take a suppliment of melatonin to aid restful sleep. I can’t tell u the improvements in the quality of life they are plentiful + hughely significant! Renee G.- I was diagnosed a little over two years ago with Fibromyalgia. My doctor told me to keep moving, and not to let the soreness and aches fool me. But I was taking at least 8 muscle relaxers per day and 4 Vicadin per day. I’ve been using Beachbody since March 2010, but the exercises were still a little rough on me. When I became a Coach and started Shakeology in November 2010, I cut way down on my muslce relaxers and pain meds. I only take them now either when I’ve overdone a workout or when the weather is really rainy and cold. So I would say that it is definitely doing something to help with all the inflammation I was having. I exercise 5 to 6 times per week and drink Shakeology every day. My pain level is now at 1 (depending on the weather) and my meds are as needed only. Jonathan G.- Wow! These comments and reactions are absolutely amazing. I have been drinking Shakeology myself for years so I am a firm believer in how great it is. It is important to remind everybody that while we are always thrilled to hear about people having incredible experiences with Shakeology and improving their fitness, eating habits and overall wellness, that these are personal experiences and not any medical or scientific statements. You have nothing to lose by trying Shakeology! 30 day, money back guarantee! Tropical is 100% vegan & dairy free! All flavors are gluten free and low glycemic! 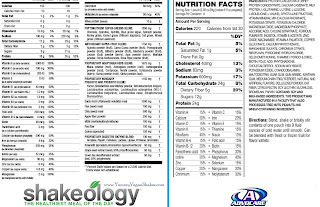 See what doctors have to about Shakeology! 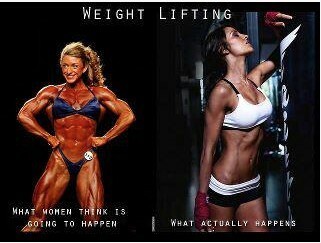 As a reminder to all the ladies out there who think they will "bulk up" if they lift weights, YOU WON'T! It's not how we are made. 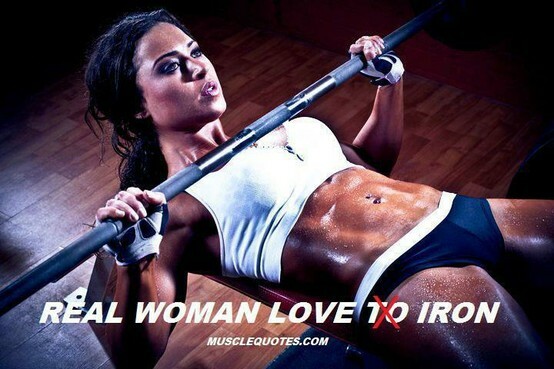 We naturally will tone up, lean out and look awesome! So next time you are working out, break out of your comfort zone and pick up some dumbbells! Muscles you build will burn calories for you ALL day :) How awesome is that?! 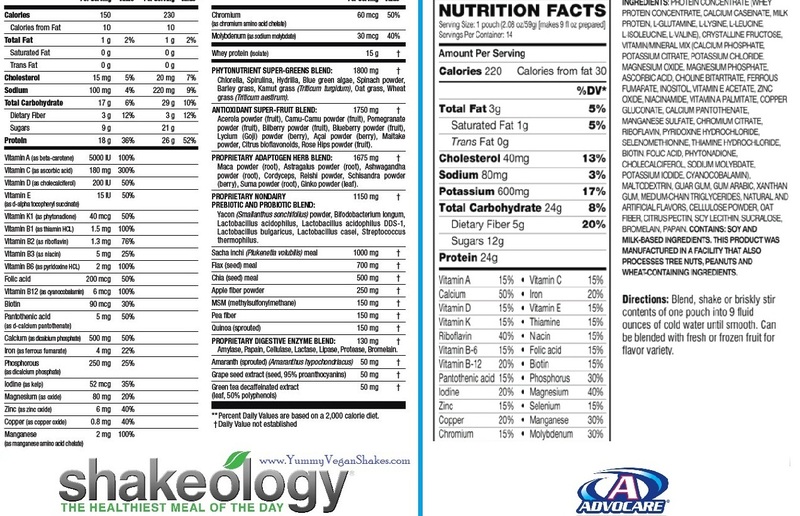 Where does Shakeology come from? As a way to recognize our troops, Beachbody is offering FREE coaching for Active Military or their spouse who want to become Beachbody coaches! So what does this mean? Well your start up fee ($39.95) and monthly fees ($14.95) are waived! You can earn extra money promoting our awesome product line or simply enjoy the 25% discount! No worries on shipping either, Team Beachbody ships to APO/FPO. Beachbody products include P90X, Insanity, TurboFire, Shakeology, Hip Hop Abs, and much more! 3. Message me at bbcoachnicole@yahoo.com to let me know you are joining my team! What is the Beachbody Military program for our Independent Team Beachbody Coaches? Beachbody is excited to offer this great program for our Coaches who are actively serving in our military. If you are an active member of the military and newly enrolling as a Beachbody Coach, the cost of your business starter kit ($39.95) and your monthly business service fee will be waived for the duration of your active duty orders. If you are already a Beachbody Coach and on active duty, your monthly business service fee will be waived for the duration of your active duty orders. In either case, if your active orders have no stated end date, your business service fee will be waived for a minimum of two years. I’m a Beachbody Coach and I’ve got friends in the military who would like to enroll as an Independent Team Beachbody Coach. What’s my next step? It’s always a great idea to share as much information about this opportunity with your prospective Coach prior to their enrollment. Giving them a chance to review more about being a Coach can help ensure they’re well informed. Once they’ve decided to join our Coach network, you’ll want them to complete the Coach Application, and submit the completed Coach Application, together with a copy of their active duty orders, to our Coach Relations team for further review and processing. Paperwork may be submitted to our secure fax at (213) 201-7225 or by email to coachrelations@teambeachbody.com. If we need any further information to verify a new Coach’s active duty status, we will reach out to them directly. I’m active military and I’d like to become an Independent Team Beachbody Coach. How do I enroll? Please complete the Coach Application, and submit the completed Coach Application, together with a copy of your active duty orders or any suitable verification of your status, such as a copy of your military ID or your BIR, to our Coach Relations team for further review and processing. Paperwork may be submitted to our secure fax at (213) 201-7225 or by email to coachrelations@teambeachbody.com. If we need any further information to verify a new Coach’s active duty status, we will reach out to you directly. Both I and my spouse are active military. May we both enroll as Independent Team Beachbody Coaches and have our fees waived? Yes, if you and your spouse are both active military, you may each enroll as an Independent Team Beachbody Coach, and each of you is eligible to have your basic enrollment fee of $39.95 and your monthly business service fee waived. Both of you will need to complete our Coach Application and submit the application along with the verification of your active status. I’m active duty military however my spouse would like to enroll as an Independent Team Beachbody Coach. Is this possible? Yes, absolutely. 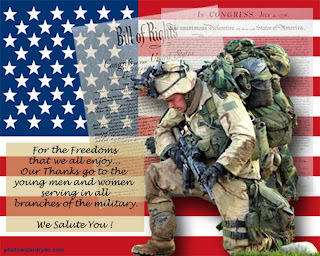 If you are active duty military and are not a Beachbody Coach, your spouse is welcome to take advantage of this benefit. If your spouse is enrolling as a Coach rather than you, your spouse will need to submit a copy of your active duty orders or other suitable paperwork, in order to qualify for this waiver. In this particular case, the name on the Coach account will be the enrolling spouse. I’m active duty military. Can anyone other than my spouse enroll as a Coach based on my status? No. As an active member of the military, either you or your spouse may enroll as an Independent Team Beachbody Coach to take advantage of this waiver of standard fees. If you and your spouse both wish to enroll as Independent Team Beachbody Coaches, and only one of you is an active member of the military, only one of you would qualify to have your standard enrollment fee of $39.95 and your monthly business service fee waived. I’m active duty military and I’m already an Independent Team Beachbody Coach. What’s next for me? Please submit a copy of your active duty orders or other suitable verification of your status, such as a copy of your military ID or your BIR (feel free to use the Coach Application Fax Cover page available HERE) to our Coach Relations team. 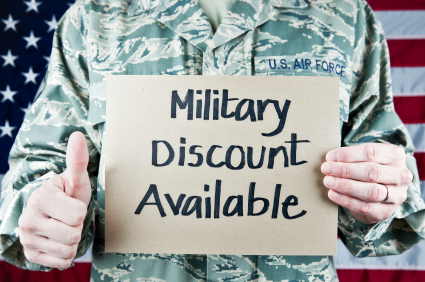 Upon further verification of your active duty status, we will waive your monthly business service fee for the duration of your active duty orders. Please note that your initial business starter kit charges are not eligible to be refunded. What do you mean when you say I have to be active duty military to qualify for this benefit? At the time you submit your Coach Application, we will also need you to include a copy of your active duty orders or other suitable verification of your status, from your branch of service. Your active duty orders will likely include a start and end date. Based upon the end date given, your monthly business service fee will be waived during that time period. If you are reassigned to active duty at a later date please contact our Coach Relations team for further instructions. If you have more extensive questions regarding whether or not you are eligible for this program, please contact our Compliance department at compliance@teambeachbody.com. 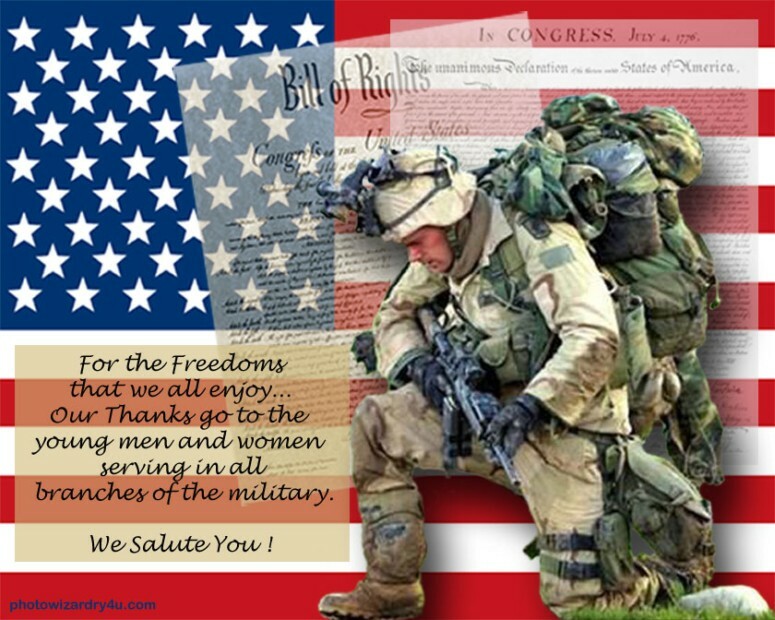 THANK YOU for protecting our freedom! It's true! 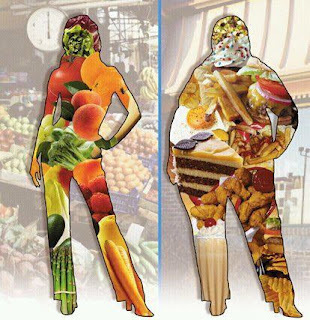 You are what you eat! 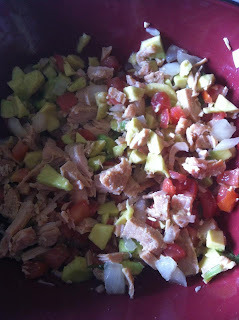 So here are some yummy & healthy meal ideas. Who says healthy has to be bland?! 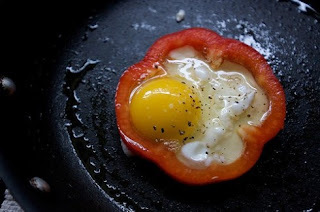 Cook an egg inside of a pepper slice! You can use just egg whites to make it even more healthy. I saw this idea on Pinterest. So many options for this! Here is the recipe. 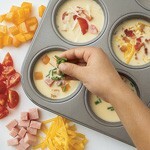 Of course, substitute the unhealthy for healthier options :) Instead of ham, do turkey bacon. Use fat free cheese. Add in fresh veggies. Get creative! I also like to make a fresh juice in the mornings. 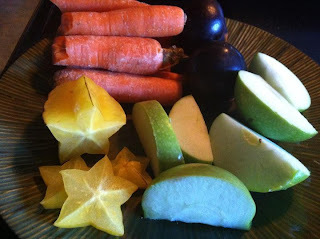 Here is one of my breakfast juices before it hit the juicer. Carrot, star fruit, apples, and plums. 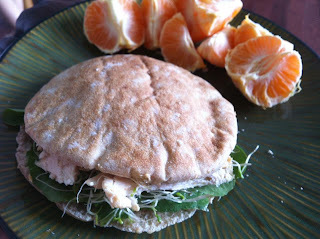 Whole wheat mini pita pocket. 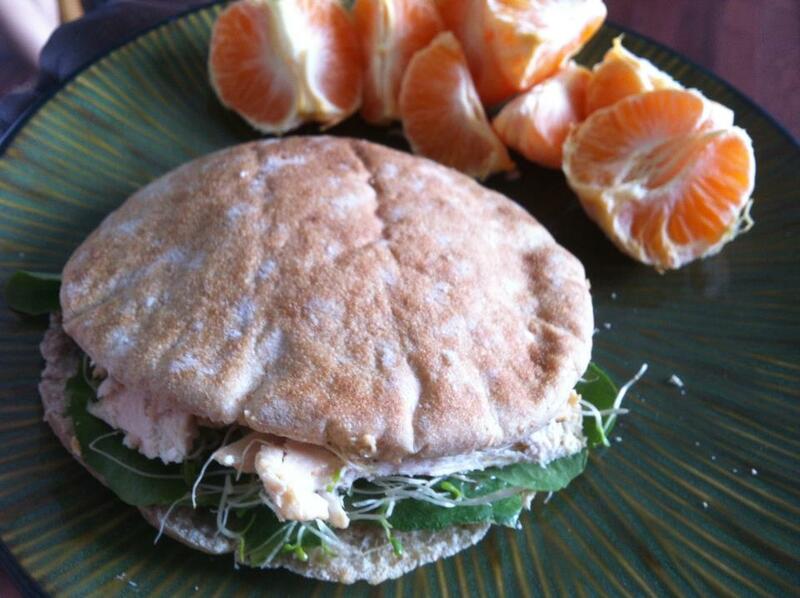 Instead of mayo, I spread humus (or you could use avacado) and added fresh baked chicken, sprouts, & baby spinach. A side of cuties. 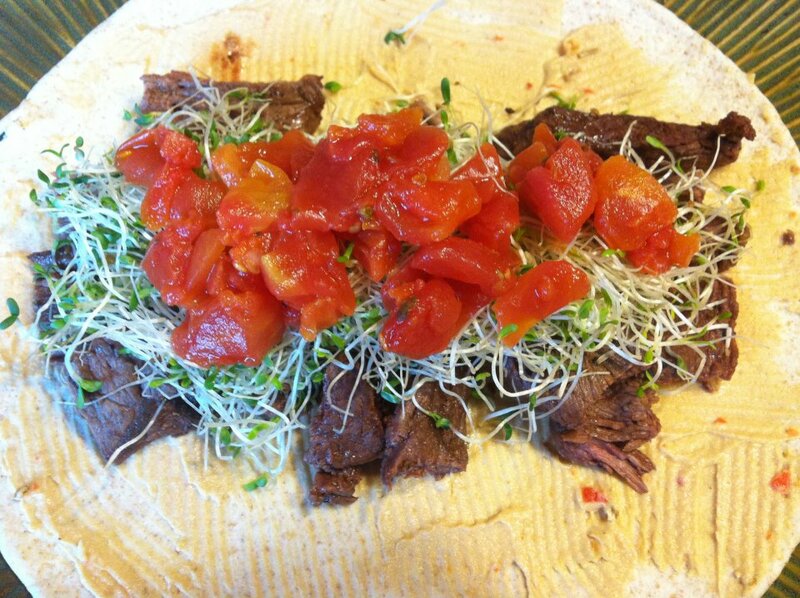 Whole wheat tortilla, humus, grilled sirloin, sprouts, & tomatos. 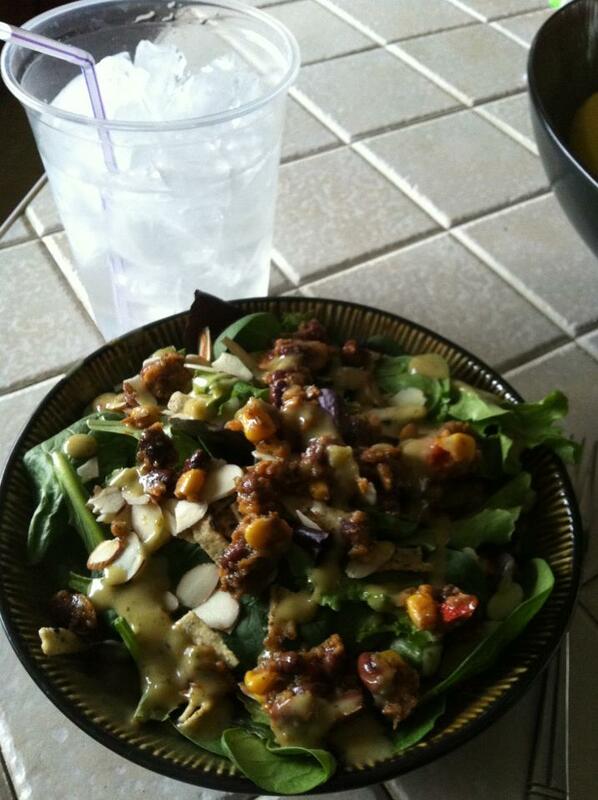 Baby spinach, spring mix, topped with slivered almonds, corn, beans, tomato, & a light dressing. YUMMO & super filling! 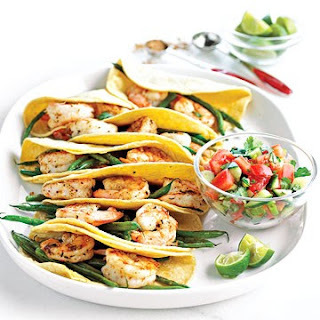 This shrimp taco recipe came from Better Homes and Gardens. I love shrimp/fish tacos! Click here for the recipe! 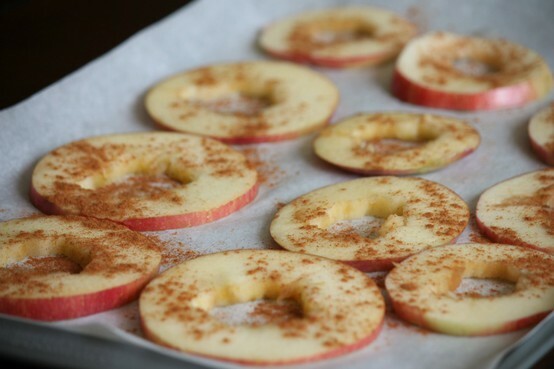 Baked apples are a great sweet treat! Found this recipe on Pinterest. Click here to see the directions! 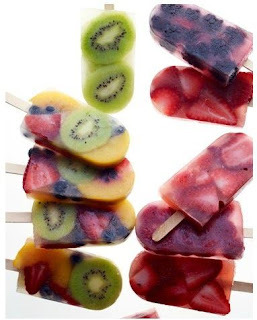 Fresh made popsicles! So easy to do, kids will even enjoy this :) Just add fresh fruit and a light fruit juice (grape or apple) to a mold. Freeze. Remove and enjoy! Dry in the oven for three hours at 100° C / 210° F.
And of course, for any meal or snack, I'm a huge fan of chocolate Shakeology! It feels like I'm cheating but I'm not :) So many options for mixing it, but my go to recipe is with ice & dark chocolate Silk Almond milk. I have made "fudgesicles" from it as well. My toddlers LOVE them! Heck, mommy loves them too. Hide your scale! It's evil! Everyday it seems I get people asking me what they are doing wrong. 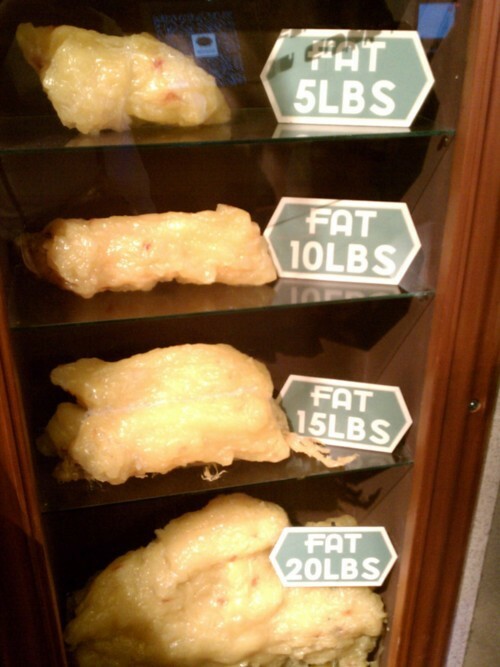 They say they eat all the right things, they work out and yet the scale won't move or even went up! Please do this for me....go get a red maker. Draw circles on your scale, like a target. Now, go get some practice in at the shooting range! 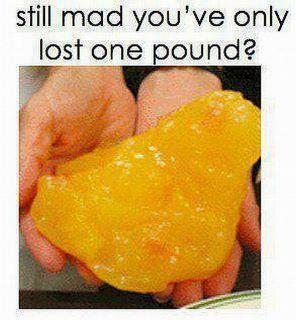 Seriously, the scale will drive you crazy. Just go by photographs, your measurements and how your clothes are fitting. Ladies, don't be afraid of weights! Strength training has been shown to increase our muscle tone, decrease body fat, and so much more. Here are a few more good reason to lift weights! 1. Increased Metabolic Rate - Strength training increases your metabolic rate by increasing the calories you burn on a daily basis. The more calories you burn, the more chance you have to drop body fat. 2. Strength training prevents and fights osteoporosis. 3. Increase in your lean muscle mass. 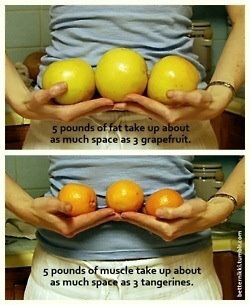 You will not get big and bulky by strength training! You simply do not have enough testosterone in your body. For every pound of lean muscle mass that you have, you burn 35-50 calories per day! If you have 10 pounds of lean muscle mass then you burn between 350-500 calories. If you have 20 pounds you burn between 700 and 1000 calories per day! This is one of the biggest benefits of strength training for women. 4. Helps with injury prevention! Strength training strengthens our muscles and tendons. 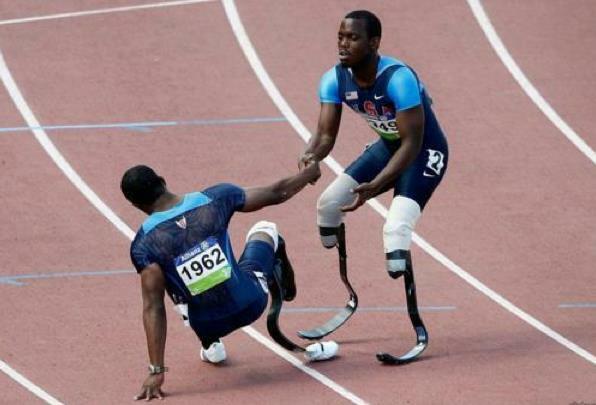 The stronger we are the less chance of an injury. This is especially important as we grow older. 5. Improved Balance - Especially important as we grow older. Strength training builds a strong foundation. Strengthening our legs and core section means an increase in overall balance and coordination. 6. Strength training can reduce your blood pressure. It can also decrease your cholesterol levels. These benefits of strength training for women alone are a great reason to begin your program today. Heart disease is one of the highest (if not the highest) killer of women in America every year. Shakeology featured in Business Week! The world is catching on to the goodness of Shakeology! Oprah featured a 10 page article last May in O Magazine about it. Now Business Week has a great article about Shakeology. 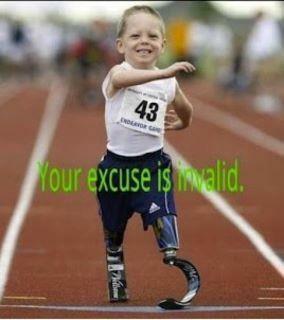 Do you find that you make excuses to not workout? 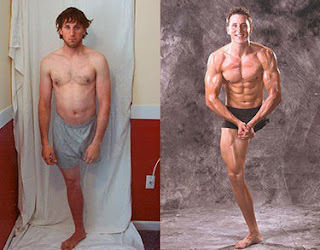 What is your excuse? Shakeology No Bake Protein Bars! Here is the recipe, I didn't use bee pollen or the cacoa nibs. I just used what I had on hand. I did add a dash on cinnamon and a tad bit of vanilla to mine. They turned out very tasty! Mix all ingredients together. Add a dash more water if needed and place in a wax lined pan. 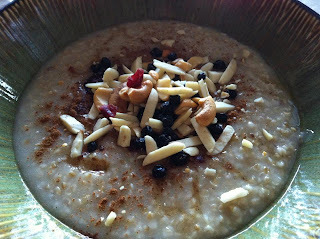 You can also spread a thin layer of peanut butter on top and sprinkle with chia seeds. Place in freezer for 30 minutes and cut. http://www.awesomeshakes.com/ to get your bag today! 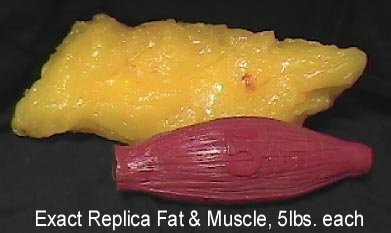 For those of you who want to build muscle but aren't sure what to do. Here are some tips for you! 1. Get Stronger. More strength is more muscle. Get into strength training. I recommend weight training because it allows you to start light and add weight endlessly. Body-weight exercises work too. Programs like P90X, P90X2, and Les Mills Pump are great weight training programs you can do at home. 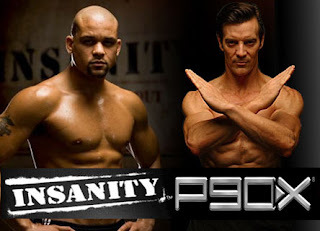 Insanity and Insanity Asylum are great body-weight programs you can also do at home, no equipment needed. Learn proper technique. Add weight each workout to keep pushing your body out of comfort zone. Functional. Strength built on machines doesn't transfer to free weights or real life. No machine balances the weight for you in real life. 3. Do Compound Exercises. Isolation exercises are ok once you've built base strength & muscle mass. But if you're starting to build muscle, exercises that hit several muscles at the same time are better. Here are some examples: Pull-ups, Chin-ups, Barbell Rows, Bench Press, Overhead Press, Dips, Squats & Deadlifts. Rest. Muscles grow when you rest, not when you workout. Sleep. Growth hormone releases when you sleep, building muscle. Aim for 8 hours sleep. Nap post workout if your lifestyle allows. Drink Water. Avoids dehydration and helps muscle recovery. Drink 2 cups water with each meal, and sip water during your workout. Eat. Your training is useless if you don't eat enough calories for recovery. You'll achieve a lower body fat, so the muscles you've built show better. And the vitamin & mineral content helps recovery. Stop eating food coming from a box. Eat whole foods 90% of the time. 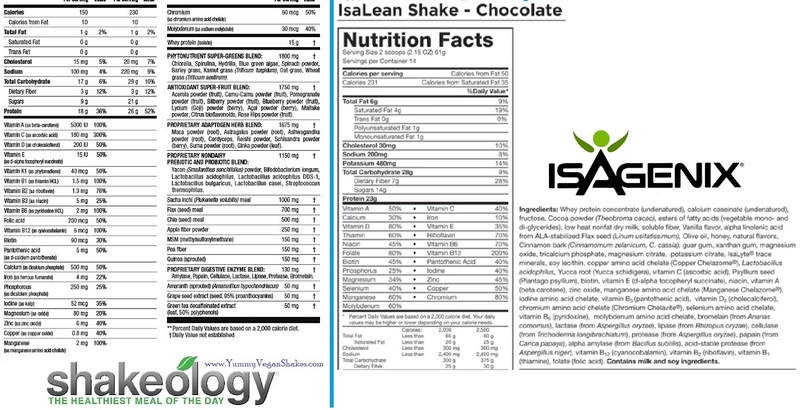 Each Beachbody program comes with a nutrition guide and recipes, so the guess work is taken out for you! 6. Eat More. Most people don't eat enough, you got to eat more to build muscle. Eat Breakfast. Most important meal of the day! On the go and don't have time? 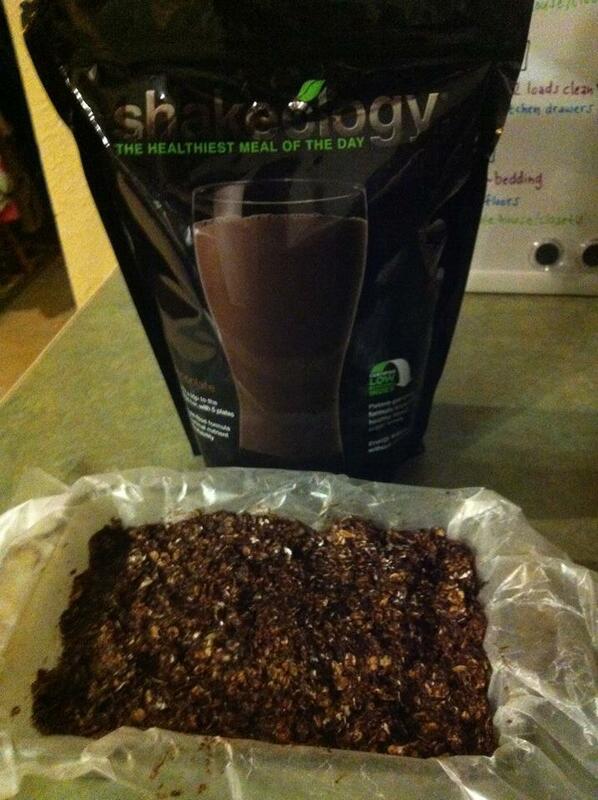 Great meal on the go is Shakeology. You can add banana and peanut butter for added calories and protein. Eat Post Workout. Get proteins and carbs post workout to help muscle recovery and replenish your energy stores. The P90X Results & Recovery drink is perfect for post workout! Eat Every 3 Hours. 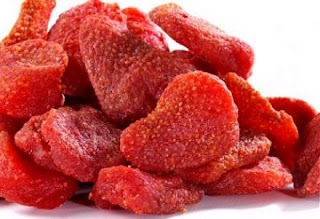 This gives your muscles a steady intake of protein, speeds up muscle repair & recovery, and also boosts your metabolism. 7. Persist. Get stronger, track progress and persist until you've built the muscles you want.